Wolf Commercial Real Estate specializes in representing a wide range of Philly industrial space for buyers, sellers, tenants and investors. 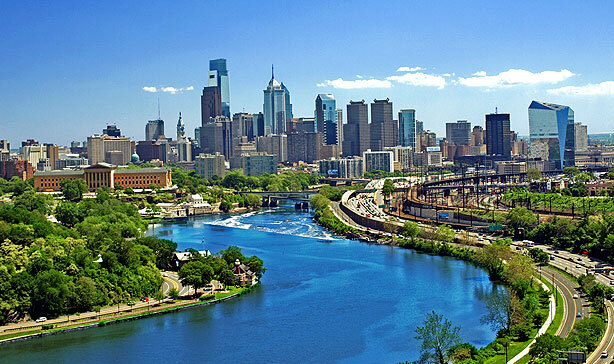 The team at our Philadelphia commercial real estate brokerage firm is uniquely qualified in all types of industrial space in Philly, from traditional space for warehousing and manufacturing, to industrial flex space for multiple uses under one roof, such as offices, showrooms, warehousing and more. As a leading Philadelphia commercial real estate broker, we offer clients the highest standard of service and unmatched expertise as we partner with them to help them realize their Philly industrial space goals. For buyers and tenants looking for new industrial space in Philadelphia, the knowledgeable team at our Philadelphia commercial real estate brokerage firm is experienced in identifying the available industrial space in Philly that is the best match for your specifics needs. We assure that the sale or lease terms of your new Philadelphia industrial space complements your real estate goals, and we’re with you from the beginning of the process to the very end in order to facilitate a smooth transition into your new Philly industrial space. 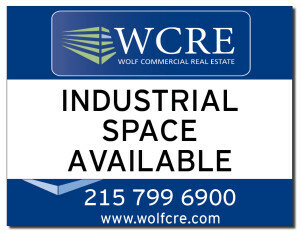 At Wolf Commercial Real Estate, we have the people, the power and the connections to get you the right industrial space in Philadelphia at the right price. For owners looking to sell or lease their industrial space in Philly, there is nothing better than the defined marketing process that our Philadelphia commercial real estate specialists developed and then tailor for each property and sub-market. This comprehensive and proven marketing strategy works exceedingly well to match buyers and tenants with available Philadelphia industrial space. 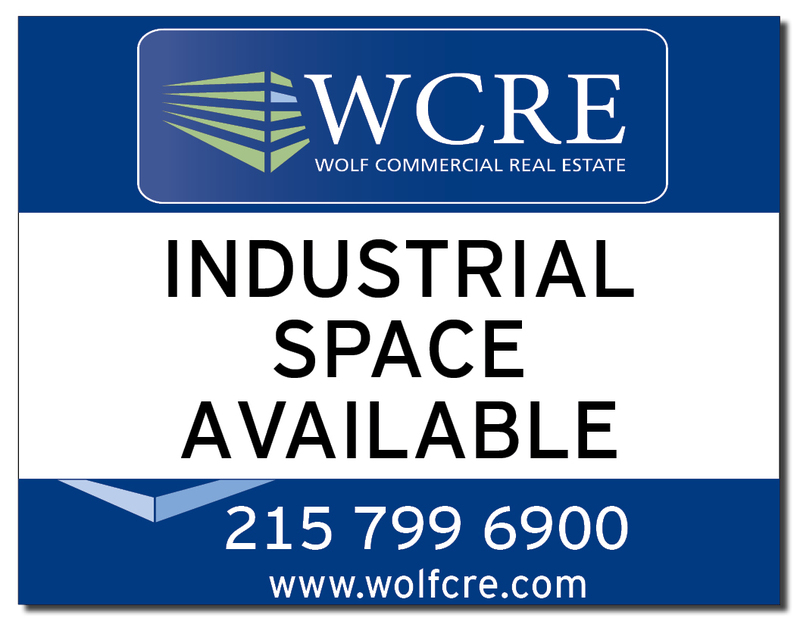 Whether you are looking for new industrial space in Philadelphia, or seeking buyers or tenants for your available Philly industrial space, Wolf Commercial Real Estate is the Philadelphia commercial real estate broker you need to make your commercial real estate goals a reality. Wolf Commercial Real Estate, the foremost Philly commercial real estate broker that specializes in Philadelphia commercial real estate listings and services, now has available Philly industrial space for lease at 1910 South Columbus Boulevard. This well-located Philadelphia industrial space for lease is on the third floor of a building at 1910 South Columbus Boulevard. There is approximately 70,100 square feet of Philly warehouse space for lease in this industrial space in Philadelphia. The asking lease price for this industrial space in Philadelphia is $5.00/sf NNN. This Philly industrial building for lease is now available for immediate occupancy from Wolf Commercial Real Estate, a Philadelphia commercial real estate brokerage firm with expertise in Philly commercial real estate listings and services. This industrial space in Philadelphia has secure access and this Philly industrial space for lease has a loading dock. In addition, this Philadelphia industrial space for lease at 1910 South Columbus Boulevard features a flexible T.I. package. There are 14-foot-high ceilings at this Philly industrial space for lease and this Philadelphia industrial space for lease has column spacing of 25’ x 25’. Such major retail chains as Target, Marshall’s, and Old Navy are close by this Philly industrial space for lease while Wawa, Boston Market, and Dunkin Donuts can also be found near this Philadelphia industrial space for lease. 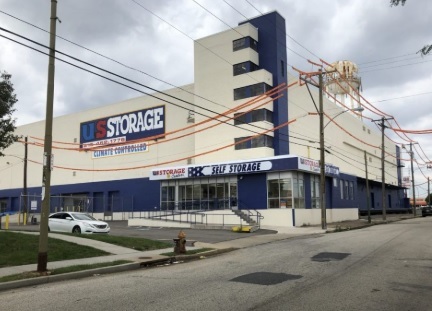 This Philly industrial space for lease at 1910 South Columbus Boulevard offers convenient access to the Walt Whitman Bridge and, in addition, this Philadelphia industrial building for lease is easily accessible to I-95, I-76, and I-676. This Philly warehouse space for lease is available through Wolf Commercial Real Estate, a Philadelphia commercial real estate broker with expertise in Philly commercial real estate listings and services. More than 2.2 million people reside within 10 miles of this Philadelphia industrial space for lease and the average household income in the same area of this industrial space in Philly is $79,256. For more information about this Philadelphia industrial space for lease at 1910 South Columbus Boulevard or about any other Philly commercial properties for sale or lease, please contact Joseph Nassib (215-799-6142; joe.nassib@wolfcre.com) or Mitchell Russell (215-799-6143; mitch.russell@wolfcre.com) at Wolf Commercial Real Estate, a Philadelphia commercial real estate brokerage firm that specializes in Philly commercial real estate listings and services. Wolf Commercial Real Estate, a full-service CORFAC International brokerage and advisory firm, is a premier Philly commercial real estate broker that provides a full range of Philadelphia commercial real estate listings and services, property management services, and marketing commercial offices, medical properties, industrial properties, land properties, retail buildings and other Philly commercial properties for buyers, tenants, investors and sellers. Please visit our websites for a full listing of Philadelphia commercial properties for lease or sale through our Philly commercial real estate brokerage firm. During the second quarter of 2017, 14 buildings totaling 5,075,807 square feet were completed in the Philadelphia commercial real estate market area. This is roughly 8 percent higher than the 13 buildings totaling 2,848,399 square feet that were completed in the first quarter. There were 15,226,755 square feet of industrial space under construction among Philadelphia commercial real estate properties at the end of the second quarter 2017. 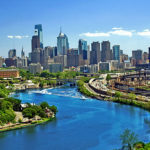 This report on Philadelphia industrial commercial properties is being made through Philadelphia commercial real estate broker Wolf Commercial Real Estate, a Philadelphia commercial real estate brokerage firm. Some of the notable 2017 deliveries found in the Philadelphia industrial commercial real estate listings include: 575 Old Forge Rd, a 1,002,000-square-foot facility that delivered in second quarter 2017 and is now 100 percent occupied, and Goodman Logistics Center Carlisle Building 2, a 938,828-square-foot building that delivered in second quarter 2017 and is now 0 percent occupied. The largest projects underway at the end of the second quarter 2017 in the segment of the commercial real estate market including Philly industrial space were FedEx Regional Hub, a 1,200,000-square-foot building with 100 percent of its space pre-leased, and United Business Park – Lot 6, a 1,200,000-square-foot facility that is not pre-leased. Total industrial inventory among Philadelphia industrial commercial real estate listings amounted to 1,089,388,733 square feet in 21,490 buildings as of the end of the second quarter 2017. The flex sector consisted of 87,184,348 square feet in 3,444 projects. Within the industrial market there were 2,723 owner-occupied buildings accounting for 233,021,749 square feet of industrial space. This trend is compared to the U.S. national industrial deliveries, which saw 537 buildings totaling 64.42 million square feet completed in the second quarter, with 272.4 million square feet of industrial space still under construction across the country. 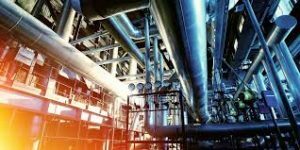 Total industrial inventory in the U.S. market area amounted to almost 22.2 billion square feet across more than 643,700 buildings, including 92,000 flex projects and 72,000 owner-occupied buildings. For more information about Philly industrial space or other Philadelphia commercial properties, please call 215-799-6900 to speak with Jason Wolf (jason.wolf@wolfcre.com) or Lee Fein (lee.fein@wolfcre.com) at Wolf Commercial Real Estate, a leading Philadelphia commercial real estate broker that specializes in Philly industrial space. The Philadelphia industrial real estate market ended the second quarter of 2017 with a vacancy rate of 5.9 percent. 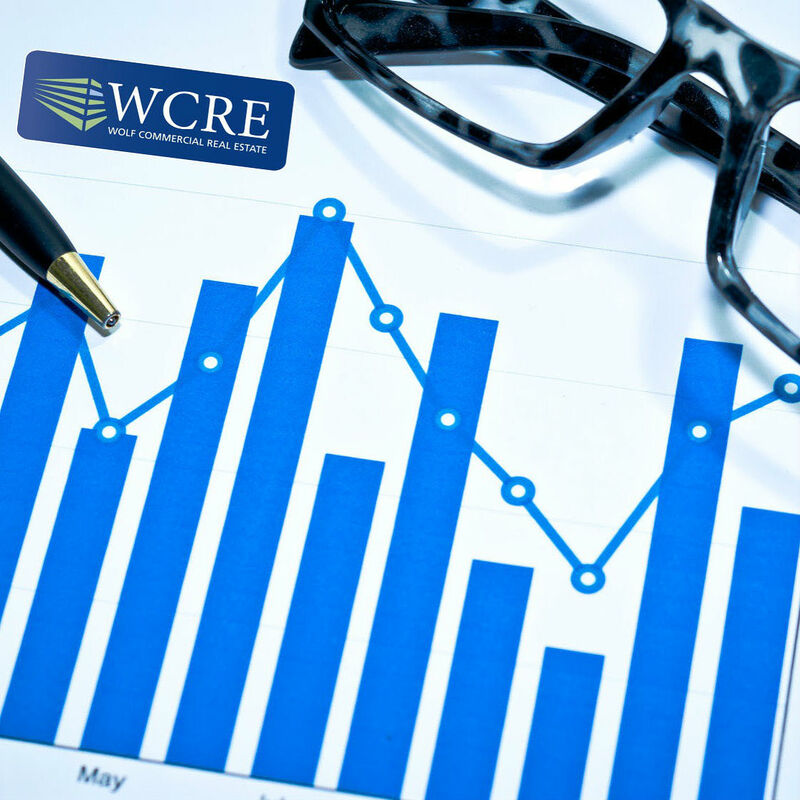 The vacancy rate was up over the previous quarter, with net absorption totaling positive 1,782,519 square feet in the second quarter. That compares to positive 9,931,174 square feet in the first quarter 2017. Vacant sublease space in the Philadelphia commercial real estate market increased in the quarter, ending the quarter at 1,193,014 square feet. This report on national and Philadelphia industrial commercial properties is being made through Philadelphia commercial real estate broker Wolf Commercial Real Estate, a Philadelphia commercial real estate brokerage firm. The flex building market recorded net absorption of positive 428,315 square feet while the warehouse building market consisting of Philadelphia commercial real estate properties recorded net absorption of positive 1,354,204 square feet in the second quarter 2017. Tenants moving into large blocks of space that were among 2017 Philadelphia industrial commercial real estate listings include: Uline moving into 1,070,000 square feet at Liberty Business Center III – Building 1, Mattel moving into 1,002,000 square feet at 575 Old Forge Road, and PepsiCo moving into 502,754 square feet at 545 Oak Hill Road. Rental rates in the commercial real estate market of Philly industrial space ended the second quarter at $4.84, a decrease over the previous quarter. A total of 14 buildings added to the Philadelphia industrial commercial real estate listings in the quarter totaling 5,075,807 square feet, with 15,226,755 square feet still under construction at the end of the quarter. Wolf Commercial Real Estate, a premier Philly commercial real estate brokerage firm that specializes in Philly commercial real estate listings and services, is now offering highly visible Philly industrial space for sale at 14 City Shirt Road Frackville PA. This Philly industrial building for sale has +/- 80,000 sf of Frackville industrial space for sale. Also, this Frackville industrial building includes +/- 5,000 sf of office area. The asking sale price for this industrial space in Philly is $1,100,000. This Philly industrial space for sale at 14 City Shirt Road Frackville PA is being offered for immediate occupancy by Wolf Commercial Real Estate, a Philly commercial real estate broker with expertise in Philly commercial real estate listings and services. The year of construction for this Frackville industrial building for sale is approximately 1980 and there is mostly 25-foot by 40-inch column spacing inside this industrial space in Philly. This Philly industrial building for sale at 14 City Shirt Road Frackville PA sits on 5.2 acres and there is a 100 percent wet sprinkler system protecting this Philly industrial building for sale. This industrial space in Philly is well located, with easy access to the I-81 corridor. There is 12-feet to 16-feet of clear height in one portion of this Frackville industrial building for sale while another section of this Philly industrial building for sale offers clear height of 14-feet to 18-feet. 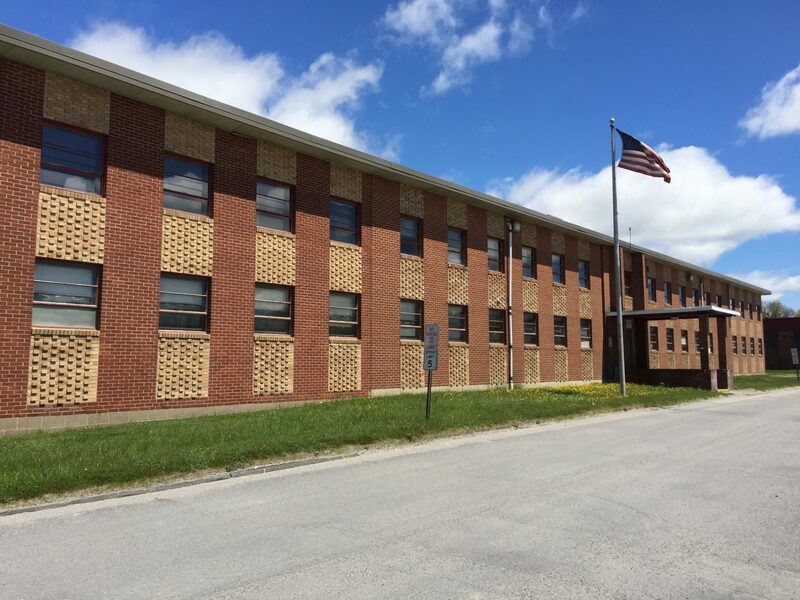 There are Cambridge gas-fired heating units at this Frackville industrial building for sale through Wolf Commercial Real Estate, a Philly commercial real estate broker with expertise in Philly commercial real estate listings and services. For more information about this Philly industrial space for sale at 14 City Shirt Road Frackville PA or about any other Philly commercial properties for sale, please contact Lee Fein (215-206-5580; lee.fein@wolfcre.com) or Jason Wolf (856-857-6301; jason.wolf@wolfcre.com) at Wolf Commercial Real Estate, a Philly commercial real estate broker. Wolf Commercial Real Estate is the foremost Philly commercial real estate brokerage firm that provides a full range of Philly commercial real estate listings and services, marketing commercial offices, medical properties, industrial properties, land properties, retail buildings and other Philly commercial properties for buyers, tenants, investors and sellers. Please visit our websites for a full listing of Philly commercial properties for lease or sale through the team at our Philly commercial real estate brokerage firm. Wolf Commercial Real Estate, a premier Philly commercial real estate brokerage firm that specializes in Philadelphia commercial real estate listings and services, is now offering Philly industrial space for sale at 32 Industrial Road Frackville PA. This Philly industrial building for sale provides +/- 137,500 sf of Frackville industrial space for sale. This Philly industrial space for sale includes +/- 12,500 sf of two-story office area. This Philly industrial building for sale sits on a lot that is +/- 36 acres. This industrial space in Frackville has a clear height of approximately 18 feet. The asking sale price for this Philadelphia industrial space for sale is $2,000,000. 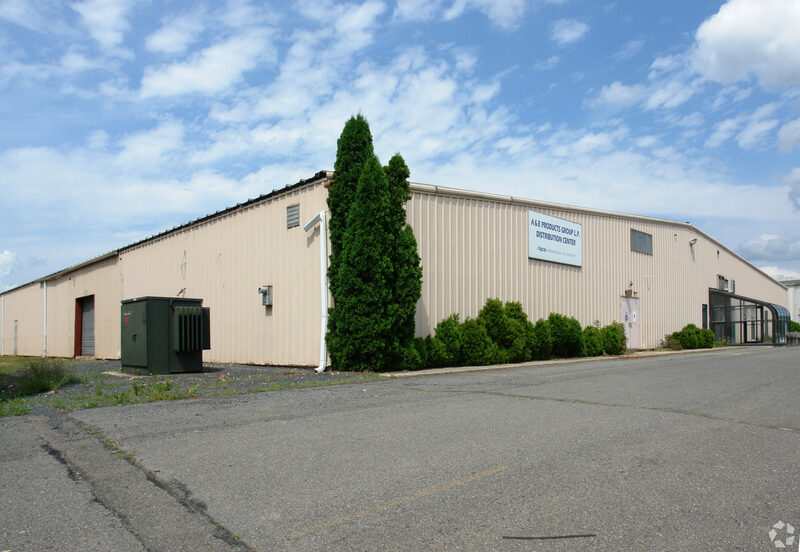 This Philly industrial space for sale at 32 Industrial Road Frackville PA is available for immediate occupancy through Wolf Commercial Real Estate, a Philly commercial real estate broker with expertise in Philadelphia commercial real estate listings and services. This Philly industrial building for sale has a 100 percent wet sprinkler system. The column spacing varies at this industrial space in Frackville. This Philly industrial building for sale has metal halide lighting and there is public water, sewer, and natural gas available at this Philly industrial space for sale. There are 12 tailgate loading doors at this Philadelphia industrial space for sale. Most of the tailgate loading doors at this Philly industrial building for sale have pit levelers. This Frackville industrial space for sale at 32 Industrial Road Frackville PA also has one 10-foot-by-14-foot drive-in loading door. This industrial space in Frackville is being offered for sale through Wolf Commercial Real Estate, a premier Philly commercial real estate broker that specializes Philadelphia commercial real estate listings and services. 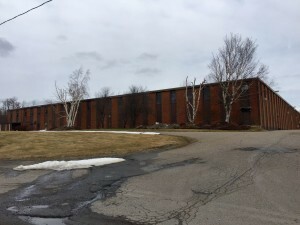 This Philly industrial building for sale at 32 Industrial Road Frackville PA has mostly gas-fired, ceiling-hung hot-air units with some gas-fired radiant units. In addition, this Philadelphia industrial space for sale provides easy access to the I-81 corridor. For more information about this Philly industrial space for sale at 32 Industrial Road Frackville PA, about other Frackville industrial space for sale or about any other Philly commercial properties for sale or lease, please contact Lee Fein (215-206-5580; lee.fein@wolfcre.com) or Jason Wolf (856-857-6301; jason.wolf@wolfcre.com) at Wolf Commercial Real Estate, a Philly commercial real estate broker. Wolf Commercial Real Estate is a leading Philly commercial real estate brokerage firm that provides a full range of Philadelphia commercial real estate listings and services, marketing commercial offices, medical properties, industrial properties, land properties, retail buildings and other Philly commercial properties for buyers, tenants, investors and sellers. Please visit our websites for a full listing of Philly commercial properties for lease or sale through the team at our Philly commercial real estate brokerage firm. The U.S. and Philadelphia industrial real estate markets are seeing a shortage of bulk warehouse and logistic centers available for sale along with a shift in focus by industrial REITs from acquisition to development. The resultant flattening in yields will likely produce lower investment sales volumes this year throughout the commercial real estate market – including Philly industrial space. U.S. logistics and light industrial properties investment sales volumes fell 13 percent year-to-year in the first quarter of 2017, even though billions of dollars have been raised for real estate investment by global funds. Along with increased real estate allocations in the U.S. and Philadelphia commercial real estate markets by pension funds and other groups, buyers face fierce competition for the few available industrial portfolios and individual assets on the market, according to CoStar’s First-Quarter 2017 U.S. Industrial Market Review and Forecast. Investors in U.S. and Philadelphia commercial real estate properties have become more disciplined during this cycle, and the duration of low interest rates has gradually adjusted the return expectations of industrial investors, Circ said. Rather than chasing riskier assets in riskier markets, investors appear to be accepting lower going-in yields. 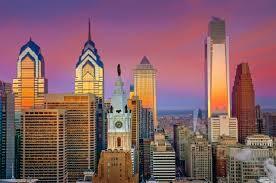 One reason for the deceleration in sales volume regarding both national and Philadelphia industrial commercial real estate listings is a reallocation of capital by publicly traded industrial REITs such as Prologis (NYSE: PLD) and other investors from acquisition to development activity. The industrial sub index of the CoStar Commercial Repeat Sale Index, bolstered by high occupancy and rent growth, logged the second-highest growth rate in the U.S. commercial real estate market – including Philly industrial space – at 2.3 percent during the first quarter, just behind retail, according to the most recent CCRSI release. Comparing current average investor yields among U.S. and Philadelphia industrial commercial real estate listings with forecasted rental rate growths, such markets as those in the Jacksonville, Tampa, and Orlando areas, along with Boston and Chicago, are among a shrinking pool that still present attractive buying opportunities for investors, Circ noted. Wolf Commercial Real Estate, a leading Philadelphia commercial real estate broker that specializes Philadelphia commercial real estate listings and services, is now offering Philly industrial space for sale at 9 Schultz Drive Delano Pa. This Philadelphia industrial building for sale is a one-story Delano industrial building for sale with approximately 146,300 square feet of Philly industrial space for sale. This Philadelphia industrial space for sale includes a modern, two-story office with air-conditioning and approximately 3,300 square feet of space. The asking sale price for this industrial space in Philly at 9 Schultz Drive Delano Pa. is available through Wolf Commercial Real Estate, a Philadelphia commercial real estate brokerage firm with expertise in Philadelphia commercial real estate listings and services. This Philadelphia industrial space for sale is located on approximately 9.5 acres (irregular) directly off I-81 at 9 Schultz Drive Delano Pa. This Delano industrial space for sale has a steel frame with concrete block and brick veneer. The floors at this Philadelphia industrial building for sale are reinforced concrete and the roof is flat, built up with metal deck. This Philly industrial building for sale originally was constructed in 1968 and more than doubled in size in 1988. The original building at this industrial space in Philadelphia features approximately 64,300 square feet of Philly warehouse space for sale. The columns in this section of this Delano industrial building for sale are spaced mostly at 33 feet by 55 feet. The 1988 expansion at this Philadelphia industrial space for sale added another 82,000 square feet of Delano industrial space for sale. The columns in the newer section of this Philly industrial space for sale are spaced mostly at 45 feet by 55 feet. The entire structure at this industrial space in Philly has 18 feet to 19 feet of clear ceiling height under the bar joist. The loading facilities at this Philly industrial building for sale feature three tailgate truck docks and two drive-in doors. This industrial space in Philadelphia is being offered for immediate sale through Wolf Commercial Real Estate, a Philadelphia commercial real estate broker that specializes Philadelphia commercial real estate listings and services. Site improvements at this Philly warehouse space for sale at 9 Schultz Drive Delano Pa. include a concrete dock apron and staging area; a 50-foot by 78-foot covered, concrete storage pad that is attached to the south elevation of the building addition; a fire loop; and exterior lighting. This Delano industrial building for sale has a fire protection system that features a fully sprinklered wet system indoors and a dry sprinkler system in the covered outside storage area. Electrical service in this Philadelphia industrial building for sale is 480/220 volt three phase. The heat source at this industrial space in Philly is propane. The original building at this Delano industrial space for sale has infrared heating units, while the expansion at this Philly industrial building for sale has floor-mounted, air-rotation, propane-fired hot air furnaces. For more information about this Philly industrial space for sale at 9 Schultz Drive Delano Pa., about other Philadelphia industrial space for sale or about any other Philadelphia commercial properties for sale or lease, please contact Lee Fein (215-206-5580; lee.fein@wolfcre.com) at Wolf Commercial Real Estate, a Philadelphia commercial real estate brokerage firm. Wolf Commercial Real Estate is a leading Philadelphia commercial real estate broker that provides a full range of Philadelphia commercial real estate listings and services, marketing commercial offices, medical properties, industrial properties, land properties, retail buildings and other Philadelphia commercial properties for buyers, tenants, investors and sellers. Please visit our websites for a full listing of Philadelphia commercial properties for lease or sale through the team at our Philadelphia commercial real estate brokerage firm.